Mercedes-Benz, the pinnacle of the German auto industry with its trade mark ‘Three Point Star’ beaming front and center, is a sight to behold. It turns heads wherever it goes and whichever part of the world you are from, you wish you drove one of these remarkable vehicles. 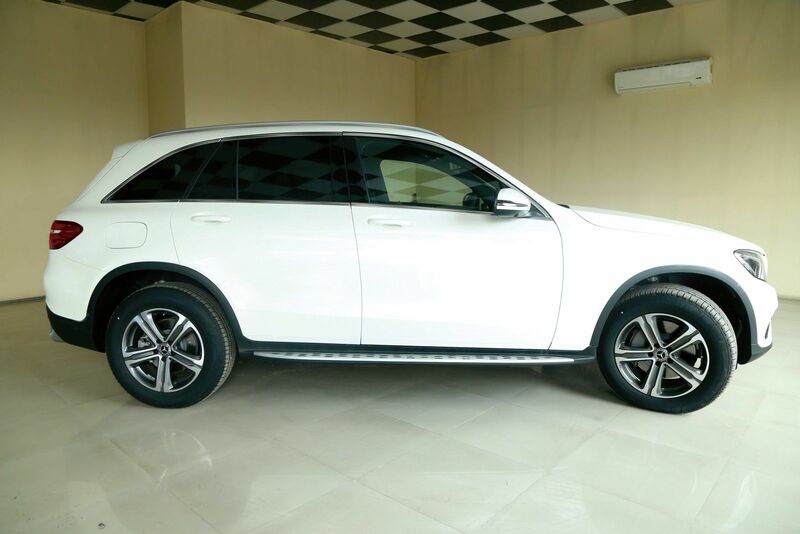 Known for their luxury and comfort, Mercedes Benz have been seen in Nepal since the 70s, but with the arrival of the Mercedes-Benz GLC 220d, the term luxurious midsize SUV’s in Nepal has taken a giant leap. One cannot miss the sleek and muscular body of the GLC. One should not be fooled by how it looks; it carries some serious power inside it. With the ignition of the engine roar suddenly filled the atmosphere. It was as if a lion was roaring to make its presence felt in the jungle. 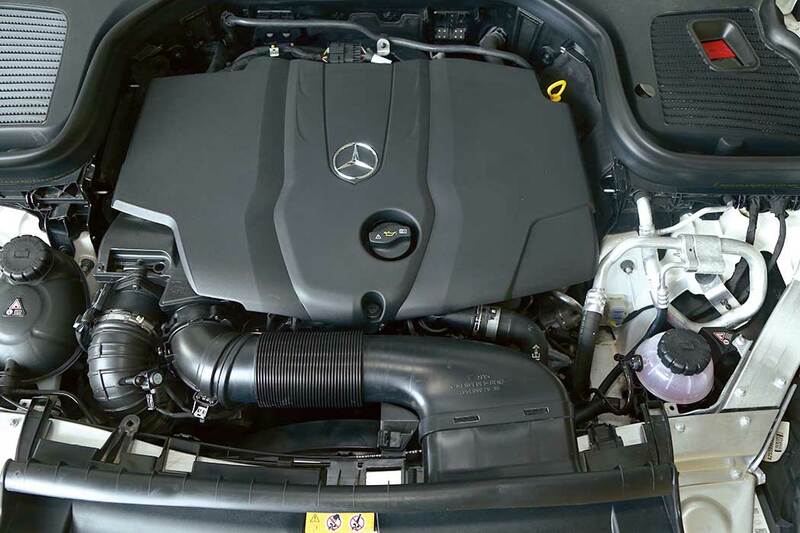 With a 2143 cc displacement, the 2.2 L engine roars like a lion but moves like a gazelle. It’s smooth and delicate movement is all made possible by its Dynamic Body Control suspension which makes light work of all adverse weather and road conditions. Automatic transmission seamlessly changes as you accelerate and de-accelerate, all while delivering a relaxed ride through the city. As soon as you get in, you feel the comfort and luxury and its class embodied by the all black leather seats; it is exquisite. A combination of black and chrome nozzles which look like they came right out of a spaceship make the interior look daunting, but its accessibility and easy-to-use functions make the control center very user-friendly and accessible. State of the art, 5.5 interactive display with customizable prefaces will leave you in awe. The GLC is built for comfort. On the inside panel of the door, there is a powered seat adjuster in the shape of a seat, which can be adjusted in at least six different ways. Ergonomics meets intelligence. The GLC may look small from the outside but it has enough leg room for front and back seat passengers.Another cool feature is its panoramic sunroof which truly gives you a different perspective.The best and probably the most impressive feature is that this whole car is customizable. If your dream is to own a pink car with black 17-inch alloy wheels, with red faux fur interiors, you can make them come true with GLC. Because of their numerous customization and add-on options, GLC will make your dream car possible without compromising other features. Remarkable, just remarkable; words cannot do justice to how good this car is. All the available functions give the user a truly immersive experience of travelling in true luxury. The verdict from spending a day with this car is –“A truly luxurious experience in comfort and safety enjoying its excellent performance.”With its modernity, strength and versatility, Mercedes Benz GLC 220d is what you are looking for in a midsize Luxury SUV that is capable of delivering power and precision without compromising safety. 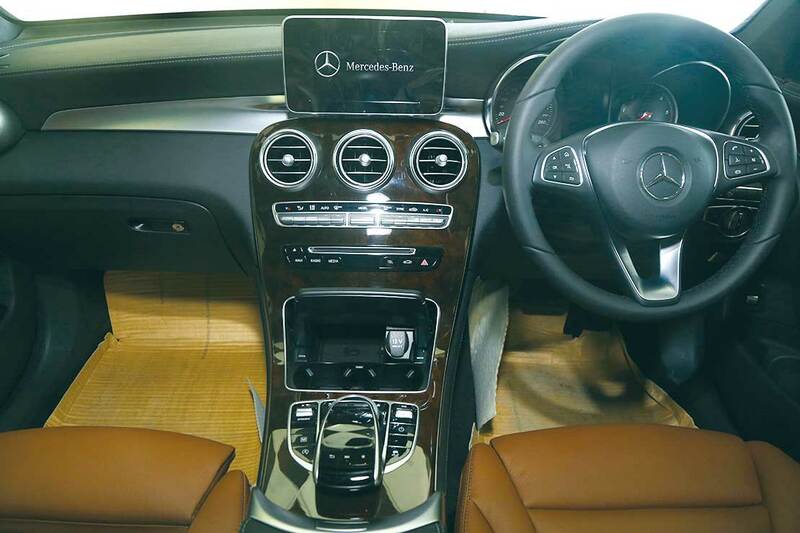 GLC 220d is the perfect choice. 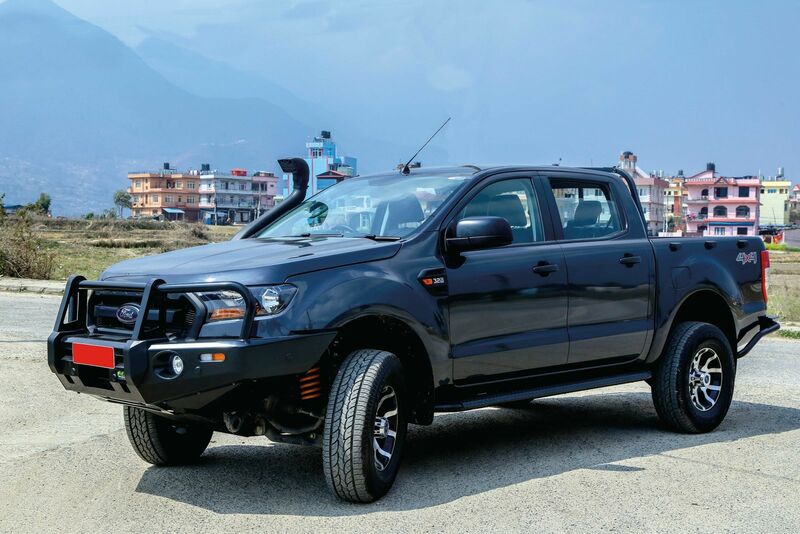 Better, smarter, just as tough as ever, Ford Ranger is “Tough Done Smarter”. With a bold new design and next generation smart features, Ford Ranger is in a class of its own. With its 5-cylinder 3.2L TDCi diesel engine, the Ranger delivers the power and torque along with an improved fuel efficiency way beyond the previous model. You can spend more time on the road and less time in the long queue at the fuel station. You can feel the power surge from the steering wheel. With its comfortable seat design, you feel like you’re sitting on a throne, towering above the potholes of Kathmandu’s roads. Potholes or not, the Ranger does not care, with its 230mm ground clearance and 17 inch alloy wheels, potholes become irrelevant. With its massive suspensions and Electronic Stability Program (ESP), it feels like driving on a well paved road. To further test Ford Ranger’s capabilities, we deliberately took it to areas where the roads are uneven and irregular. The road towards Bhaisipati is dreadful and we felt it would be a good test of the Ranger’s capabilities. Other cars can also make the trip, but the way the Ranger accomplished and conquered that roadway with such grace, it instantly turned me into a fanboy. The power, the comfort and the way it maneuvered is simply magnificent. Easy shift of the gear with each gear delivering more power and control over the previous one, the Ranger made a mole hill out of a mountain. Not to mention its state of the art interior, with an easy to use interactive display, you have plenty of choices. Plug in your iPod or MP3 or connect your smartphone via Bluetooth and blast your favorite song while you cruise along the roads. The sounds coming from four speakers placed all over the interior gives you a wholesome feeling making you want to bob your head. If you are an adventure seeker, take it outside the valley to places where it’s difficult to drive. Raging river, sandy, steep inclines, whatever you put it through, the Ranger’s 800 mm water wading and e-locking Rear Differential makes light work of such terrain. Space is not an issue with the Ford Ranger; the trunk of the car is HUGE! If you want to go white water rafting or camping, there is more than enough space to fit in all your luggage and camping gear. Now besides all the luxury and state of the art functions and capabilities, the most important factor should be safety. Ford does not play with safety. This car is built to be tough and endearing but it is also built with safety in mind. When you take your car on risky voyages, you want to feel safe and protected. There are six airbags that will minimize the damage and Electronic Stability Control among other safety features to keep you on the road. All these little features make Ford Ranger a tough, luxurious off road vehicle. You can drive it anywhere you want. Trust this beast to protect you and get you to your destination in one piece, all while enjoying the multiple functions and features provided. Thrill seeker or an average person, the Ford Ranger can be driven by anyone who is looking for a tough, smart and efficient vehicle.